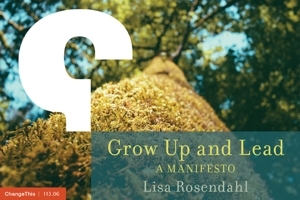 Lisa Rosendahl — Is Credibilty Declared or Bestowed? I've deemed myself credible. Yes, I have and I actually think I do it pretty darn regularly, out loud, to others. My credibility is likely included somewhere on my in-dire-need-of an-overhaul LinkedIn profile somewhere. Oh, don't judge me, I am sure you've done it too. And why shouldn't we? We do our homework, follow through on the things we say we are going to do, maintain our SPHR certification and don't lie, cheat or steal. I never even gave it a second thought. Until now. Until I started preparing my credibility presentation and picking at the notion of crediblity. Until I started to wonder. Until I started to pose the question to others. And until I read what my friend Steve Browne had to say. "Credibility is determined by others. You can’t proclaim yourself credible. The reality of credibility at work is that others get to determine whether you are credible or not. May not seem fair, but it is reality. Understanding that this is something that occurs vs. being bestowed is important. People that posture for attention and focus to seem credible often are people that are the farthest thing from actually being credible." Is credibility something that is declared or something that is bestowed? Yikes. Have I been making the greatest faux pas of all time? Have you? What do you think?